The Great Keppel Islands are a quiet, understated island on the Capricorn Coast . The island is a great place to escape from the daily grind and get off grid amongst natural surroundings and the beautiful coral reef. The Whitsundays are one of the most beautiful parts of the Queensland coastline surrounded by the Great Barrier Reef. If you are short on time then here are 5 things you MUST see and do when you visit The Whitsundays. Green Island is a popular island near Cairns perfect for a day trip or island getaway. 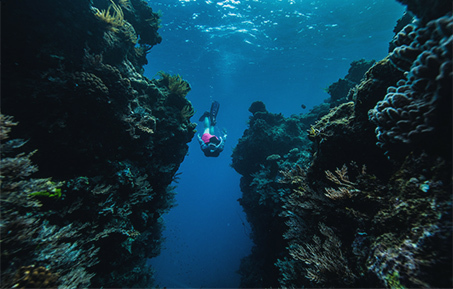 The island is the only coral cay in the reef to have a rainforest and beautiful fringing reefs. The Great Barrier Reef is an aquatic playground for divers seeking close encounters with the unique and friendly marine life. We have compiled a list of the best dive sites on the Great Barrier Reef. The Southern Great Barrier Reef has some amazing little known dive sites where there are an abundance of marine life guaranteed to leave you in awe of the Great Barrier Reef. Great Eight are the famous and iconic creatures of the Great Barrier Reef that you will likely encounter when you head out snorkelling or diving. A close encounter with any of these marine species is an amazing experience that you will never forget.